Celebrate the holiday season on Facebook when you share our merry images. 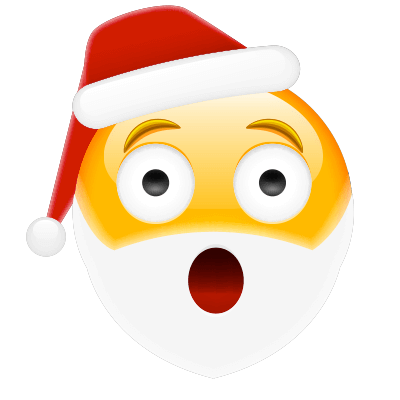 This Santa is surprised that Christmas is coming so quickly. He still has lots of toys to make for all the good boys and girls. You can share this emoji for free on your Facebook timeline. Choose your favorites to post today.